London: A maniac who left three Emirati sisters for dead in a horrific claw hammer attack at a luxury hotel in London was sentenced to life in prison on Monday. 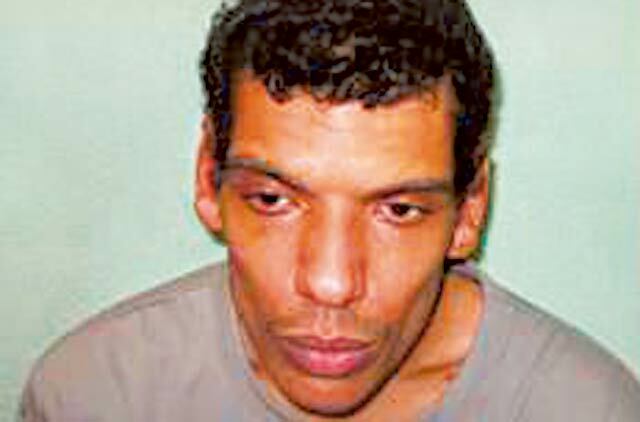 Philip Spence, 33, savagely bludgeoned his victims repeatedly in front of their terrified children in their suite at the plush Cumberland Hotel near Marble Arch, central London. Khulood, 36, and her sisters Ohoud, 34, and Fatima, 31, suffered smashed skulls and life-threatening injuries after the bloodbath in the early hours of April 6 this year. Spence was jailed for life and ordered to serve a minimum of 18 years for the brutal attacks. Judge Anthony Leonard, QC, said: “Philip Spence you have been convicted by a jury of the counts of attempted murder which you carried out in the early hour of the 6 April this year. “You were responsible for a sustained attack with a hammer on three women who were visiting this country...The ferocity of that attack was such that you left one of the women, Ohoud Al Najjar, so badly injured that she will never walk again unaided,” he said. Judge Leonard referred to the serious injuries sustained by all three victims. “Your evidence seemed to suggest it was Ohoud who you attacked last. It was clear from the evidence that she was lying down in the bed when you attacked her and I can assume... that you intended to kill her and her sisters so there would be no adult left to identify you as the burglar,” he added. Spence was influenced by drugs and had armed himself with a hammer, he said. The only mitigating features were Spence’s “lack of support when a child and a teenager” and the remorse he had shown since the attack, the judge said. “I have no doubt that you had a difficult and disturbing childhood which you told the jury about and is reflected in the psychiatrist’s report I have read,” added Judge Leonard. Spence suffers from a personality disorder but not of a serious enough nature to warrant him being detained in hospital. Throughout the trial he was accompanied by mental health workers who sat in the public gallery as the evidence unfolded. At one point during his cross examination Spence attempted to launch a rolled-up magazine, being used as a prop hammer, at the prosecutor Simon Mayo. “You then threw the ‘hammer’ towards the prosecuting counsel acknowledging that you wanted effectively to throw a hammer at counsel,” the judge said. Spence was handed a life sentence for the three counts of attempted murder and ordered to serve a minimum of 18 years. “It does not mean that you will be released at that point, only that you will be eligible for release,” he added. There was no additional penalty for the additional charges of three counts of grievous bodily harm with intent, one of conspiracy to commit aggravated burglary and one of aggravated burglary. Wearing a thick dark sports jacket and blue polo shirt, Spence gave a small nod before he was led away. Spence’s accomplice in the attack, Thomas Efremi was handed 14 years for conspiracy to commit aggravated burglary and two years and three months for fraud to run concurrently. He leant forward heavily on his crutch to hear his fate and hobbled out of the dock to the cells. Another co-accused James Moss was given a 21-month sentence suspended for two years after admitting one count of handling stolen goods. He is also subject to a four-month curfew and will be electronically tagged and monitored between 8pm and 6am. “The seriousness of Philip Spence’s crime is reflected in the sentence he has received today. “He will now have plenty of time to think about the consequences of his actions during the early hours of 6 April, at the Cumberland Hotel, when he changed the lives of a family forever. “It is unimaginable the terror they must have felt when they woke to find him in their room. “The level of violence Spence chose to use was extraordinary, and completely unnecessary for him to steal, as he had set out to do that night. “I would like to one again thank the detectives from the Homicide and Major Crime Command, who worked tirelessly to arrest him and secure the evidence needed to bring him to justice. “Our thoughts remain with the women he nearly killed and I would like to pay tribute to them. They showed immense courage and fortitude in giving evidence to the court and the support they and their representatives have shown the MPS during the investigation was never faltering. “Again, I thank the Abu Dhabi Police who provided crucial assistance and whose officers came to London to assist the investigation team. Their cooperation is greatly appreciated and we are grateful that we were able to form with a close working relationship with them. “I would also like to thank the individual UAE Embassy’s and their staff for their ongoing liaison, regular meetings which have helped us to enhance our knowledge of the needs of visiting communities. “The ramnifications of this incident were felt across London, The United Arab Emirates and other major cities across the world, feeling shocked and outraged and understandably frightened. “I would like to give reassurance that an incident of this nature is thankfully very, very rare and the victims were not specifically targeted, followed or attacked because they are from the UAE. “London very much remains one of the safest major cities in the world with crime continuing to fall year on year. This financial year to date, overall crime in London is down by 2 per cent.